About Dr. Mark Schillinger, D.C. I am a physician, musician, educator, community leader, public speaker, life coach, and most importantly, a family man. All of these activities are creative expressions of my passion in the fields of physical health, personal growth and family unity. My life’s purpose is to help people achieve their true potential by mentoring them to discover their own core values and transform those values into positive beliefs and productive behaviors. This way they can enjoy a meaningful and fulfilling lifestyle. As a young boy growing up in New York City in the 1950s, I was fortunate to have loving, supportive parents. I was also surrounded by helpful mentors in the form of relatives, family friends, neighbors and sports coaches. By my teenage years (in the 1960s) I chose new mentors in the fields of natural food, alternative healing methods, and yoga. I loved to play sports and the piano, which I still happily do. In the early 1970s, I enrolled at a new and innovative university called, Empire State College, in Manhattan. I was allowed to audit classes at almost any other college, or receive direct mentorship from teachers that were willing to work with me. I studied Eastern philosophy, art and transpersonal psychology. In 1974, I moved to Santa Cruz, California to be mellower than in NYC. It worked – sort of. I found that meeting so many calm people in one small town, made me a little crazy. I worked in the natural foods industry and learned a great deal about nutrition and supplements. I attended lots of workshops in the fields of quantum physics, personal growth and spiritual development. I also started a family. To this day, being with my family is my favorite way to spend time. 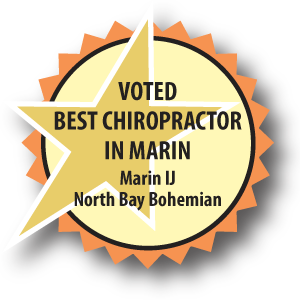 While working in a natural foods bakery, I injured my neck and shoulder, leading me to my first chiropractic experience. 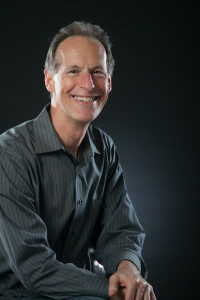 I was fortunate to be referred to Dr. Harvey Markovitz, DC. He took great care of me, with his chiropractic adjustments and lifestyle counseling. I decided that becoming a chiropractor would be the best way for me to help other people become healthier and happier. I took my family to Portland, Oregon, in order to attend Western States Chiropractic College. It was there that I decided to specialize my practice in stress management. The rest, as they say, is history! In 1984 , we all moved to San Rafael, California. We thought this would be the best place to raise our children and live in a community of like-minded people. And so, on February 1, 1985, I began treating patients, with the intention of helping as many people as I effectively could. In 1990, I began my nonprofit public service career as an original board member of the Performing Stars of Marin. This organization helps children develop their self-esteem, self-reliance and social skills. I started my own nonprofit organization, Young Men’s Ultimate Weekend, in 2000. This event is a nonreligious, wilderness, rite of passage initiation for young men ages 13 – 20. We accept all young men, regardless of their social, economic, academic or athletic backgrounds. We’re proud that our graduates leave their Weekend experience more accountable for their lives and better prepared for the challenges of the adult world. In 2013, I founded Challenging Teenage Sons. This organization helps parents and their sons develop more caring and cooperative relationships. This way, our young men are better prepared to create a life of happiness and independence. To help chiropractors and acupuncturists take better care of their patients, I began to teach a seminar called, Adjusting the Mind, in 2009. This 12 hour program demonstrates to health professionals how to incorporate stress management therapy, yoga and life coaching into their practices. This seminar is a California “Board Certified” Continuing Education course. I know that I’m able to possess the remarkable energy it takes to serve others because of the unwavering love and support from my family. I’m blessed to have both of my grown children, Gabe and Becca, living in San Rafael. Gabe is a successful hip-hop producer. Each week, he and I create original music together in his professional recording studio. Becca is a fine artist. She and I stay connected by sharing our feelings about life, love and beauty while we take the dogs for a walk. My former wife, Suzanne Alfandari, LMFT, and I, are the closest of friends and have lovingly co-parented our children. We teach a workshop together, to show parents how to set aside their own painful emotions and learn how to effectively share their values with their kids. Mastering our method helps parents raise resilient children.